A convex mirror comes in many different shapes and sizes offering simple yet effective solutions to your safety & security concerns. 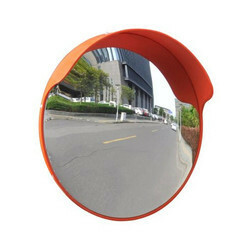 Convex mirror for safety & security mirror use. Indoor and outdoor models available in glass, acrylic and unbreakable mirrors. 160 degree view in round convex and rectangular convex shapes. 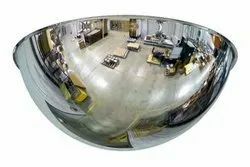 Backed by rich industry exposure, we are highly engaged in offering an extensive range of Convex Mirrors to the clients. These products are extensively used at Railway stations, Highways, Malls and many other places. Also, these products are manufactured by employing the most modern machinery and technology. Additionally, this product has become the first option in the market. Trolley Mounted Telescopic Under Vehicle Inspection Mirror with it's own light source is an indispensable aid for inspecting the under- side of vehicles for any concealed explosives, weapons and contraband goods. 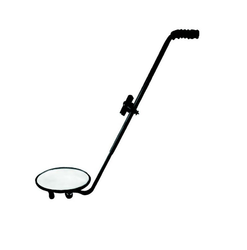 It is designed for high durability and smooth operation on all surfaces. It is easy to use while presenting the least amount of fatigue to the user.